Identity theft is a crime that affects hundreds of millions of individuals in the US alone each year. With the advent of the internet, social media, and smartphones, the theft of identities has skyrocketed along with the breaching of personal and sensitive user data. 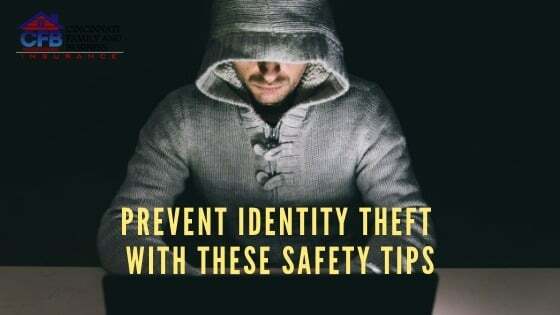 Understanding the most important safety tips available to prevent identity theft is essential to avoid unwanted and unnecessary financial disruptions in your everyday life. Equifax, Experian, and TransUnion all offer the option to freeze your credit if you believe your identity is at risk or if your information has been stolen or leaked online. Freezing your credit is a way to protect your current credit score while sorting out any potential theft you have experienced. Use an online service such as CreditKarma to periodically check your credit score while also having the opportunity to freeze your credit anytime you believe you are at risk. Checking your credit score frequently is highly advisable, even if your credit is currently great. Check on your credit score regularly to ensure there are no applications processing or bills that have racked up that you are unfamiliar with yourself. Scan your credit score review to gain valuable insight into which debts you currently have to your name and whether or not loans and other applications have been filed using your social security number. Avoid traveling with your social security number or your official social security number card at all times. Hackers and identity thieves use social security numbers to quickly gain access into an individual’s financial and personal life. Always verify that a company or institution that requests your social security number is legitimate and authentic before sharing the information. Always select a secure password when registering as a user on a new website or when linking services such as your bank account and social media logins. Secured passwords should contain multiple numerical characters, upper and lowercase letters, and if possible, special characters (!, @, #, &). The more secure a password is, the more difficult it becomes for online thieves and hackers to access your account. When creating a new password for a username, avoid choosing names of your children, pets, or anything else dear in your life that you have publicly posted about using social media or your own website. Hackers are extremely savvy when it comes to researching their victims’ lives to find telling details that are often linked to their selected passwords. Whenever possible, use an online password generator to ensure your password is as secure as possible and is not at risk of becoming a target. Verifying the authenticity of a website’s URL is a key element involved in protecting your identity any time you are online. To verify the authenticity of a website, view the official URL navigation bar to ensure the URL itself is spelled as the official business you are trying to reach. It is also important to verify that the website is safe and secure using an SSL (Secure Sockets Layer). An SSL-encrypted website will show a lock icon in the upper lefthand corner of the website you are attempting to access. Websites without an SSL have a much higher risk of being hacked and having their data leaked to the public. Whenever you are throwing away important documents or paperwork with identifying information, do so only after you have used an electric shredder. Paper shredders not only cut down on bulky paper items, but help to protect sensitive information from getting into the hands of thieves and hackers. Even if the risk of your trash being rummaged is low, shredding paperwork with sensitive details such as your bank account and routing numbers is a must. Add a layer of protection to your smartphone with a screen lock or a lock screen that requires a digital password or pin. If you keep important documents or your email inbox readily available on your phone, consider setting permissions to access each section of your phone. Use password applications to keep track of your protected folders and files to prevent hackers from obtaining highly sensitive and personal information. Use a GPS locator on your smartphone in the event that it is stolen to immediately locate your phone while locking out hackers and thieves who have it in their possession. With the right safety tips, protect and secure your identity whenever you share your personal and sensitive information with companies and financial institutions. Taking the proper steps to protect yourself from identity theft is a way to gain peace of mind while making important financial decisions for yourself and your future.